England 7s legend Ben Gollings has been forced to call time on his representative career after failing to win a new contract from the Rugby Football Union. The 31-year-old, the all-time leading points scorer in the IRB Sevens Series, brings the curtain down on a 12-year career that has also included three Commonwealth Games. His remarkable tally of 2,652 points in 70 Series events is more than twice as many as his nearest rival, Fiji's Waisale Serevi, and only Argentina's Santiago Gomez Cora has scored more tries than Gollings' tally of 220. "It is a shame I won't be able to fulfil my ambition of cracking the 3,000 points barrier or becoming all-time top try scorer, but I've been fortunate to enjoy as much as I have," said Gollings, who made his international debut as a 19-year-old. "It was a bit of a shock not to be given a new contract and it will take a few months to get my head around no longer being part of the England Sevens squad, but I understand their decision to look to younger players to take them forward and I wish the team and the boys the best of luck and have every faith in them that they can win the 2013 Rugby Sevens World Cup in Moscow." England 7s coach Ben Ryan paid tribute to Gollings and admitted it was not an easy decision to deny him a new deal. "The decision not to renew a contract is never taken lightly and while we understand Ben will be disappointed we felt that it was one that needed to be made to move the squad and our game forward over the coming seasons," said Ryan. "It doesn't detract in any way from the terrific service Ben has given England over more than a decade at the highest level. His professionalism has set the standard for all those who have trained and played alongside him. "Ben was there from Day One in 1999 when the World Sevens Series began and, although he had spells with Newcastle and Quins and overseas, he kept on returning because of his love of the sevens game and the game has a lot of affection for him too. "He's got a remarkable points scoring record and that will probably stand for a decade or more as a tribute to him. His name is synonymous with sevens and I'm sure he will go on and enjoy an equally successful post-sevens career." 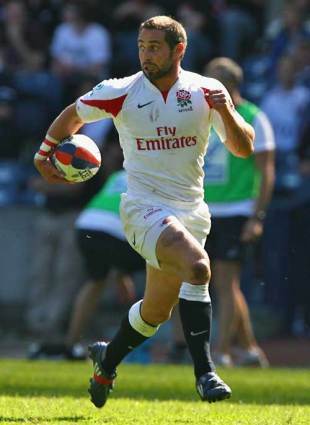 Gollings's tournament highlights include being an integral part of the side that won four consecutive Hong Kong titles, the last in 2006 secured by his final-play try and conversion; winning a silver medal at the Commonwealth Games in Melbourne; clinching tournament wins in Wellington and London in 2009; and securing England's victory in Dubai in December 2010. In the 15-a-side game, Gollings represented England at Under 16, Under 18, Students and A team levels as well as appearing the England side that beat the New Zealand Barbarians at Twickenham in December 2003. His club career included spells in the Aviva Premiership with Harlequins, Newcastle Falcons and Worcester Warriors, as well as at Bournemouth and Doncaster Knights, and overseas with Sunnybank, Tasman, Gold Coast Breakers and Toyota Shokki.